Great nails are the pieces in your look that give the ultimate message about you, did you know? Have you ever noticed how guys instinctively look at our hands on a first date to get cues about us…are we neat, are we glamorous, conservative, creative, adventurous, dangerous? It says it all on those little canvases at the tips of our hands on which we can paint our souls’ secrets or reveal all the different sides of our personality. In these long winter nights, when all is white and cold, cheer your self up by experimenting with color becoming a nail artist yourself with just a little help from experts. Gel manicures, a big trend exclusive to salons, have been very popular on red carpets and will remain big in the years ahead. Gel gives a lasting, perfectly solid finish that is addictive once you have tried it. Red Carpet Manicure has created Nail Art Kits that allow you to perform gel manicures yourself. There are different styles that you can pick such as French Manicure and Gems and Jewels. Tips and Tricks help you figure the map to create many nail effects including some seen on celebrities such as the fade, dots and marbleizing. Gems and Jewels gives understated manicures a crystallized pop using gems, jewels and glitter. This is a great way to add your personal style and have fun, said celebrity manicurist Gina Eppolito. You can also get the Professional LED Light that cures the gel polish in 2 minutes just like at the salon. 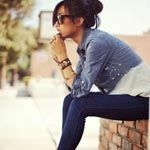 More and more among us growing up in these environmentally tested age have a preference for healthy cruelty -free products. We want to be glamorous but not endanger our health. 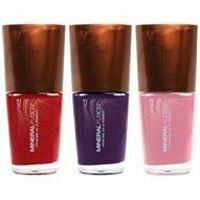 This is why I like to paint my nails with Mineral Fusion, a luxurious, 100 percent vegan nail color that is long-lasting and is infused with anti-oxidant-rich minerals. I like that the polish is “ four free”(Formaldehyde, Toluene, Camphor and Dibutyl- phthalate) and that Mineral Fusion never tests on animals. My dog would not forgive that! Color blocking is big this winter. It consists in painting up each nail with big blocks of contrasting color to make your bold digits contrast fiercely. For an evening on the town, I like to combine Mineral Fusion’s creamy Garnet with Rocking Ruby. Another combination I might go for is mixing Rock Candy or Grotto (a purple hue) with a subtle line of Glimmer in the middle. The gold glitter of Glimmer is realistic and earthy. You can also mix textures and add a little dazzle on your ring finger for a restrained dare. Don’t forget the final Top Coat layer in the end and don’t worry about removing it all the next day. 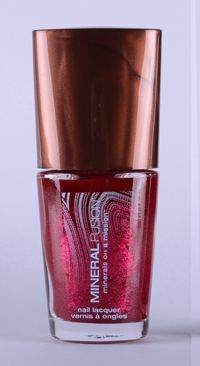 It will all come off easily with the Mineral Fusion Acetone-free Nail Polish Remover. Available at Whole Foods stores. Bellapierre, a brand of choice among many celebrities, has a collection of ravishing mineral nail colors that are Toluene DBP and Formaldehyde free. Metallic is hot this winter and if you are that kind of gal you will love 24 K Bling, a stark opaque Gold that does not mince its delivery. If you are a more dainty bird, craving for a rare Vintage sparkle, Glitter Snow will give your hands an immaculate snow flake glitter. I also can’t live without Cadillac Pink, a shimmering old Rose with an incredibly bright diamond sequin to flash in the night and show them all Perfect for Valentine’s Day. Nails are the new eyes to the soul… Nail art is a way to express yourself, be yourself and show the world what you have got in you. It is fun to experiment, see what kind of combinations work for you, which ones attract the more wows from your friends and admiration from men. 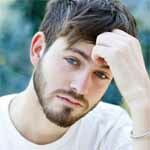 By doing it all yourself you will also save quite a bit while changing your look as often as you feel like it. Make sure you pair your nails to your dress and make – up and that they do not compete with one another for attention though. Keep it cool. 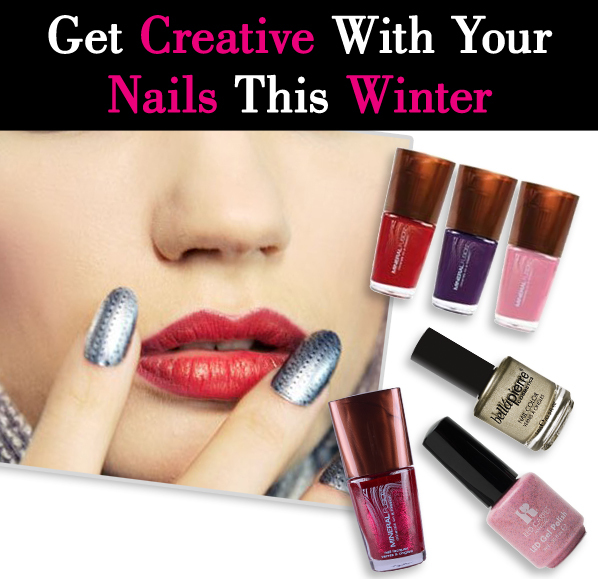 With these brands and nail artistic possibilities, you are geared up for a good time in prep time and show time.